A terrible pun, I know. 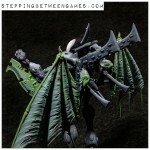 Couldn't wait to get some paint on the models and try and see whether my hands could do what my brain was picturing! One should always use a big centerpiece model as a tester, right? Actually started with the Branchlord for a reason, it had the widest range of textures and colors in my head that I needed to get down onto the miniature. 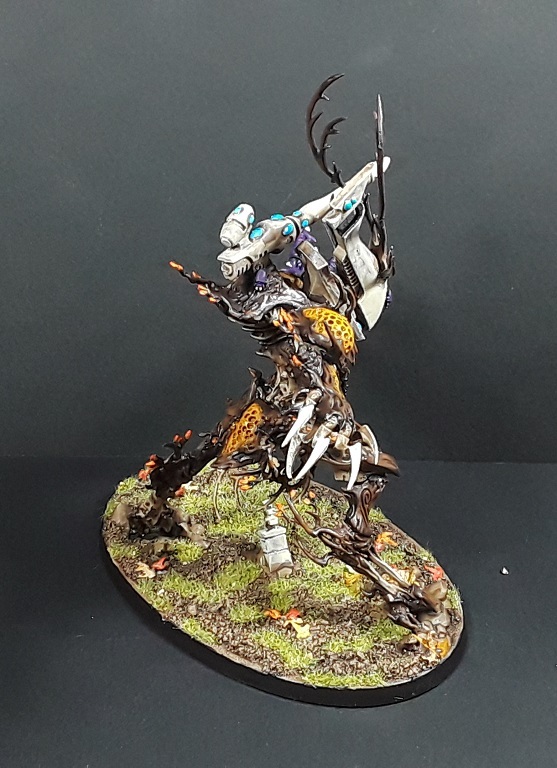 I knew that the wood, bark and wraithbone would all be very neutral colors, so the addition of the yellow on the hives and red/orange on the leaves warmed it up somewhat. From a color theory perspective that meant it ought to get some purple/violets and blue/green tones as complimentary colors, so the beetles got the purple while the waystones and other creepy crawlies get the green. 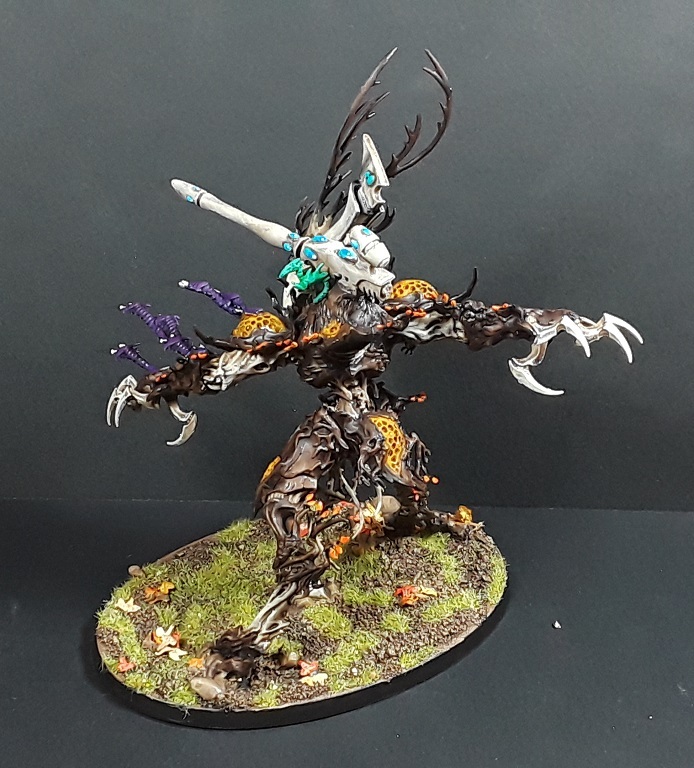 The base got a slightly different brown shade from the rest of the wood, and then a fair bit of static grass and leaf litter was added to bring the colors up a bit and give the model a bit more 'pop'. All in all I'm pretty pleased with the scheme and I'm looking forward to applying the colors to the other models! As part of the planning process I broke out the trusty painting chart and have been trying out various units to make a ~2000pt force. Still have 100 points or so to play with so there's some wiggle room as inspirations strikes. Put in an order for the kits to make up the next few models - A Spiritseer, a Warlock Conclave and a trio of counts-as Vypers. Much more to come! I was convinced this was a stupid idea and hideous waste of money when I saw your first post. You've convinced me otherwise! Keep going! Hah! To be fair it absolutely IS both of those things. Fun project nonetheless though! That describes most of our hobby eh? Ain't that the truth? Hah! 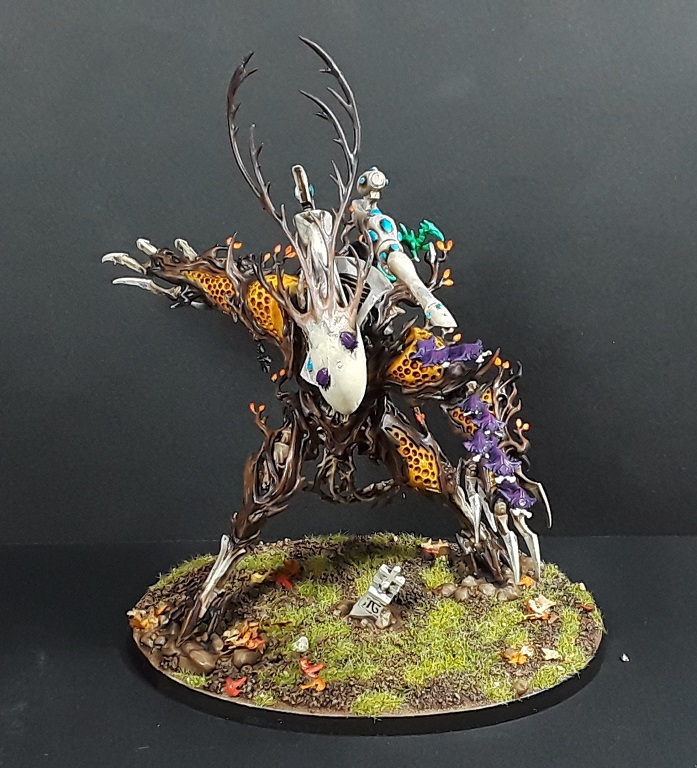 Wood Elf Aeldari... looks unique, like it a lot. Thanks man! Wanted to try something a little different than the usual "dino-riders" vibe. Not sure it'll work in the end, but here's hoping! Actually, for this hour of the morning it was a gloriously needed pun! Thanks man! Plenty more to come! Laughed out loud at the pun, model looks great too! 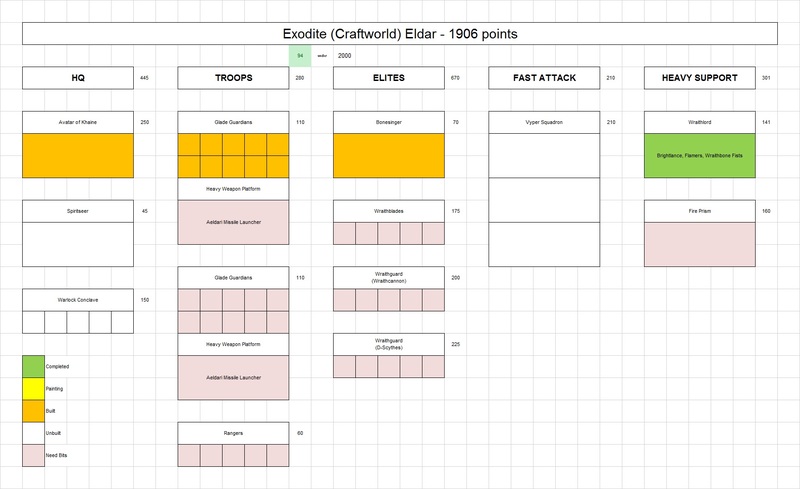 40k Exodite Eldar - Wait, what? Inq28 - Eisenhorn and friends!